"You guys were amazing! So many people dancing all night! What I really love about your band is you go from song to song without coming up for air. Goes to show you know how to read your audience and keep the show going. "Very professional. Very impressed. Thanks again so much!" "You were fantastic!" "Loved the whole show!" "Sounded Great & Very Professional"
"Our 80's Summer Bash Party was a success; Radical 80's brought back a lot of great memories for all"
70's & 80's Party Hits! For over 7 years, Radical 80's have been performing the Hits of the 80's & entertaining a strong following in Los Angeles & surrounding areas. Performances include Corporate Events, Casino's, Wedding's, Fair's, Private Parties, Reunions, Fund Raisers & Clubs. With the sounds & the wardrobe that made the '80s an awesome time, Radical 80's enthusiasm & love of the '80s show when performing & deliver exactly what the crowd came to party & dance too... The Hits of The 80's! 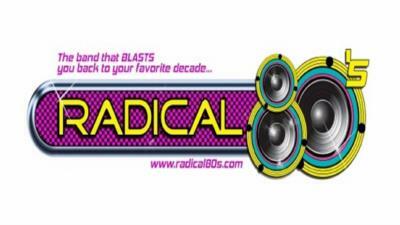 Please note Radical 80's will also travel to Oak Park, Westlake Village, Thousand Oaks, Calabasas, West Hills, Woodland Hills, Malibu, Brandeis, Canoga Park, Simi Valley, Newbury Park, Topanga, Chatsworth, Moorpark, Tarzana, Winnetka, Reseda, Encino, Northridge, Pacific Palisades.